Ultimate Fighting Championship (UFC) is hoping to get mixed martial arts (MMA) legalized in the state of New York this year, as the state assembly gears up for yet another debate on the pros and cons of cage fighting. I get the sense the boys in boxing aren’t feeling overly optimistic. 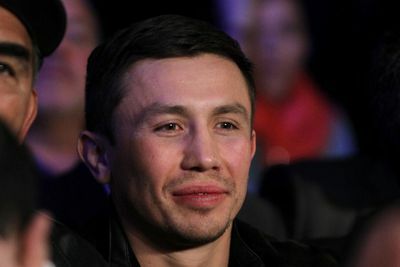 Probably because K2 Promotions recently placed a hold for Madison Square Garden, according to Boxing Scene (via Bloody Elbow), which would mark the return of pugilistic powerhouse Gennady Golovkin on April 23, 2016. That’s the same date and venue UFC reserved for UFC 198 and the return of Jon Jones. If by some miracle the “Empire State” goes forward with regulation for MMA, then UFC has first dibs on “The World’s Most Famous Arena.” If not, it’s reportedly moving to the Honda Center in Anaheim, California. I guess the promotion won’t be able to play the “think of how much money you will lose” card if “GGG” is willing to step in on April 23 and take its place. Lots of pieces to this puzzle fight fans … stay tuned.